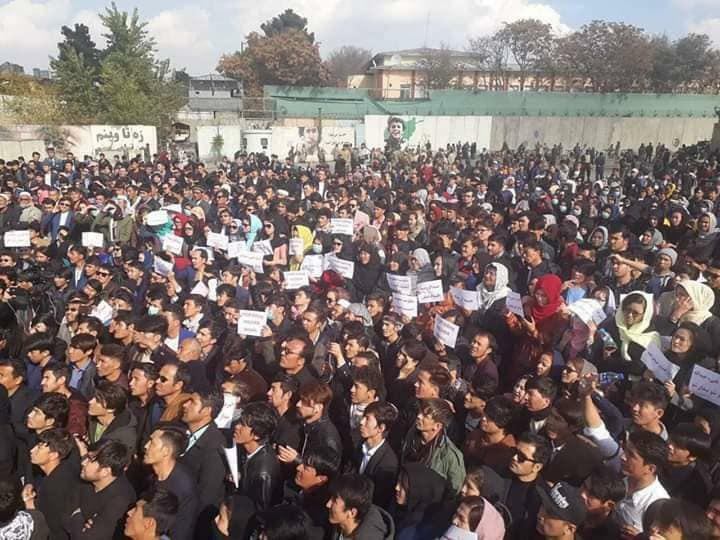 Hundreds of Kabul residents marched to the Presidential Palace to protest the recent insecurity in Ghazni and Uruzgan, calling on the government to take urgent measures to address the security situation in these provinces. The protests began at eleven o’clock last night and continued in the midst of a rainy night and cold weather near the presidential palace. The protesters, who number hundreds of people, protested all night long, and after talking to president Ghani on phone, finished their demonstration. These protesters accuse the government of negligence and disregarding recent attacks by armed Taliban in Jaghori and Malistan districts of Ghazni and also in the Uruzgan Khas district of Uruzgan, and emphasize that despite widespread Taliban attacks on these districts, the government has taken no serious steps to undermine the group. A number of students in Kabul closed the gates of Kabul and Polytechnic universities at 6:00 am today to protest. 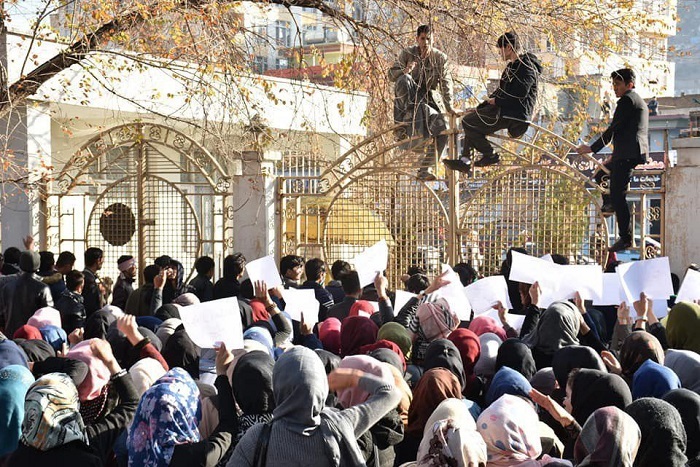 The Ministry of Higher Education of Afghanistan announced that “Protesters are expected to read a resolution in the presence of the media, and the gates of Kabul and Polytechnic universities will be open to students, and the lectures will continue to as usual,” the ministry said in a statement announcing the protest of the students. At the same time as a number of Kabul citizens protested near the Presidential Palace, dozens of citizens in Balkh Province have been running street demonstrations in connection with recent insecurity in Ghazni and Uruzgan. The Jaghori and Malistan Districts of Ghazni ,and Uruzgan Khas district of Uruzgan Province have been subjected to several attacks by armed Taliban for several days, in which dozens of civilians and security forces have been killed. The president of Afghanistan, Mohammad Ashraf Ghani, issued a verdict few days ago calling the Uruzgan fight an ‘ethnic conflict’ and said that he would send a delegation to investigate this ethnic conflict. This verdict provoked the anger of the people from this province. But then, Abdullah Abdullah, the chief executive of the Afghan government, said that this is not an ethnic conflict, and the Taliban has inflicted heavy casualties to the people and the security forces. The protesters movement began with a Facebook status at 10 pm on Sunday: “Guys, if possible, let’s march toward ARG just now”. All the young people who had common pain at the bottom of their hearts for losing their loved ones, as well as security and people resistance forces, joined this movement and formed a spontaneous crowd. They insisted that the government does not allow the security forces to launch airstrikes, and more than a week after the Taliban attack on Jaghori and Malistan, “there is still no effective action against the Taliban”. The issuance of air and ground strikes in the Taliban-based areas of Jaghori, Malistan and Uruzgan, the clearance of the border areas of Malistan, Jaghori and Uruzgan from the insurgents and the provision of immediate relief assistance to the displaced people in these areas, the deployment of additional security forces and the permanent deployment of these forces in these areas, ensuring the security of Central Hazarajat roads, the establishment of security outposts on the Qarabagh and Nahur routes, and the establishment of an Army Corps in the Central regions of Afghanistan, are among the main demands of the protesters. Two days ago, a number of civil activists and residents of the capital, in a gathering in Dehmazang Square, called for urgent relief for the displaced people in Uruzgan Khas district of Uruzgan province and in Jaghori and Malistan districts of Ghazni Province, and insisted for the end of the war in this region. 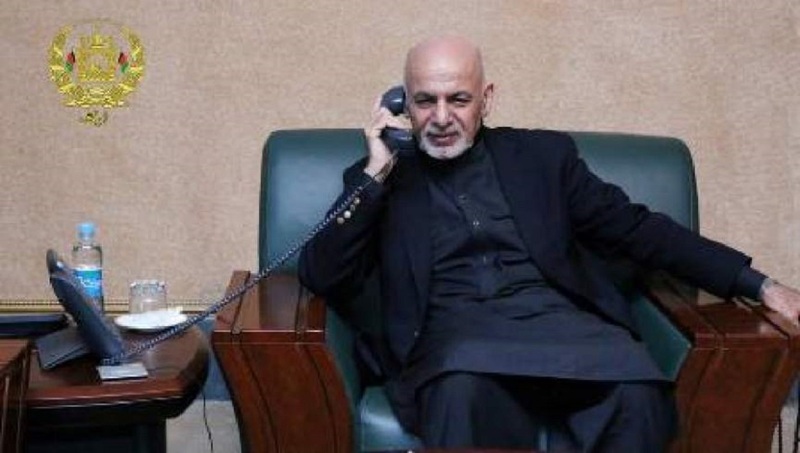 Afghan President Mohammad Ashraf Ghani talked to the protesters through phone call about their demands 14 hours after the demonstration began. In a conversation with the protestors, President Ghani shared the full details of the government’s efforts to secure the districts of Malistan, Jaghori and other provinces. Mr. Ghani assured the protesters that the security of these districts will be ensured and that more forces have been deployed. 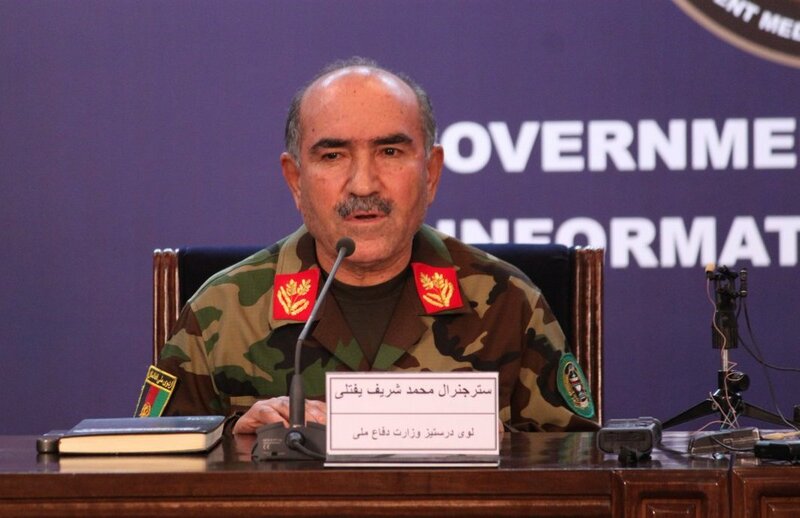 Meanwhile, after the protests, Afghan Army Chief of Staff Sharif Yaftali appeared in a news conference in Kabul today and stressed that the outcome of the war in the Malistan and Jaghori districts of Ghazni province, considering the actions taken by the security agencies, will be changed soon. “Recently, two districts of Ghazni, which in the past 17 years have been safe and quiet areas and considered as centers of education and progress, have become unfortunately unsafe, but our efforts to push back the Taliban armed forces from these areas will continue,” Mr. Yaftali acknowledged. The head of the Afghan Army Chief of Staff said that Dr. Mohammad Arif Shah Jahan, former governor of Maidan Wardak, and former Ghazni MP, had been sent to Jaghori, along with 14 security officials and 40 commando forces. At least 17 Taliban were killed in last night’s attack in Jaghori. He said. “If we count Taliban casualties in the Malistan and Jaghori War, so far, at least 200 Taliban fighters have been killed in these two districts,” he added. Kabul garrison chief, Gen. Murad Ali Murad, was present on Monday morning among protesters calling for the end of the protests around the presidential palace. “End the demonstrations and talk to the president on the phone and accept the president’s speech as a legitimate document. The orders have been issued to the ministries of the security sectors from the President and the National Security Council,” He stressed. 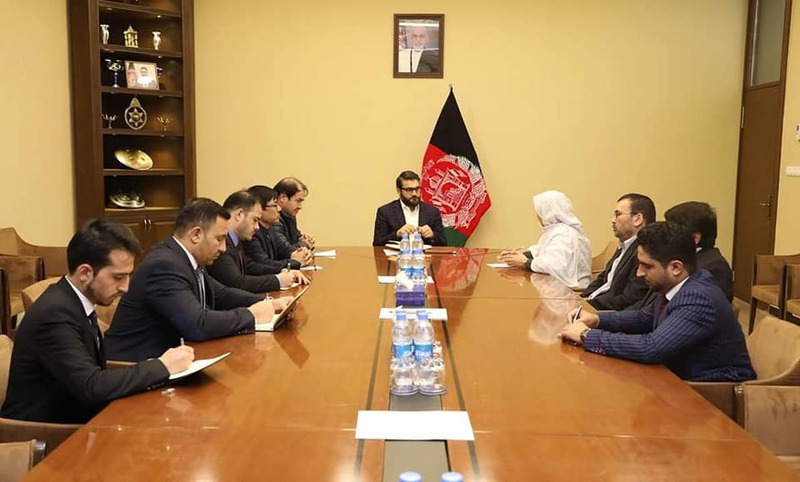 National security advisor, Hamadullah Moheb, during a meeting with Ghazni MPs, said that air and ground assaults continue in cooperation with the Resolute Support to suppress the enemy. The Afghan Independent Human Rights Commission (AIHRC) called the protesters demand as rightful and insisted that the government should address the demands of these protesters as soon as possible. The commission noted that unprecedented casualties on civilians have been inflicted in the districts of Malistan, Jaghori and Uruzgan Khas in these conflicts. “As a result of the recent wars in Malistan, Jaghori, and Uruzgan Khas districts, there have been unprecedented casualties in these areas” said Latifa Sultani, AIHRC spokesperson, to Reporterly. Ms. Sultani said that the war is also currently ongoing intensely in Nangarhar province as well as Maruf district of Kandahar province, and Farah province. AIHRC officials point out that the lack of a pre-emptive government plan and a lack of security forces have led the people forces to rise up against armed insurgents, which has greatly increased the number of civilian casualties as a result. Recently, the Taliban attack on a number of Hazara-inhabited areas in Afghanistan has increased. Recent attacks by the group on the Uruzgan Khas district of Uruzgan province and the Malistan and Jaghori districts of Ghazni province are clear examples of escalation of attacks on these Hazara districts. 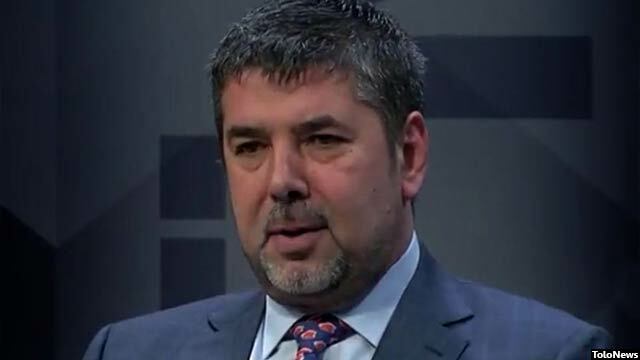 However, former NDS chief, Rahmatullah Nabil, said that the attack on the Jaghori and Malistan districts of Ghazni was planned two years before by the Taliban. The Taliban want to open another corridor to make the northern provinces insecure through Jaghori, Malistan, Daikundi and Ghor, according to him. Mr. Nabil in his official Twitter statement commented that he has raised this issue many times in meetings with politicians, civil society activists and international associates, as well as those who have been in contact with him.